Neem flower has so many health benefits however as it is bitter in taste we avoid consuming this natural medicine. By preparing yummy preparations like rasam, podi or incorporating this flower in some dishes like Mango pachadi or Ugadi pachadi makes us to reap the benefits of this healthy flower. 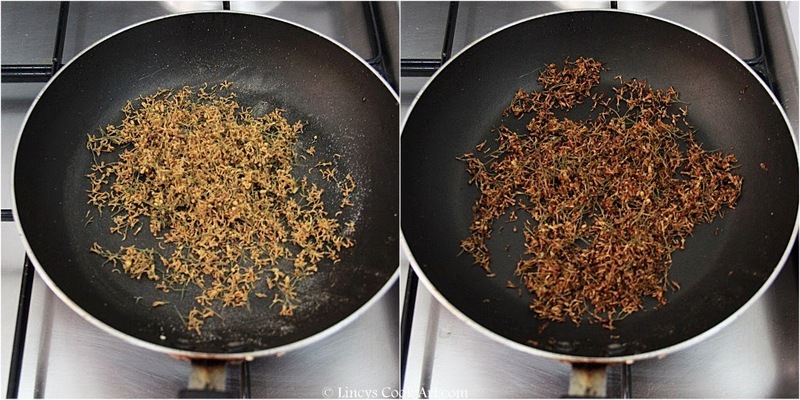 Heat a pan and add the dried neem flowers and roast till dark brown. Do not over roast and burn the flowers. Transfer the roasted flower on a plate and allow to cool. 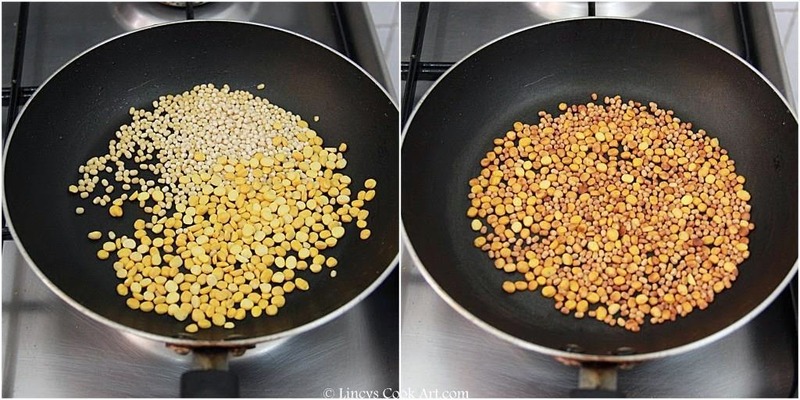 On the same pan add the channa dal and urad dal together and roast till golden colour. 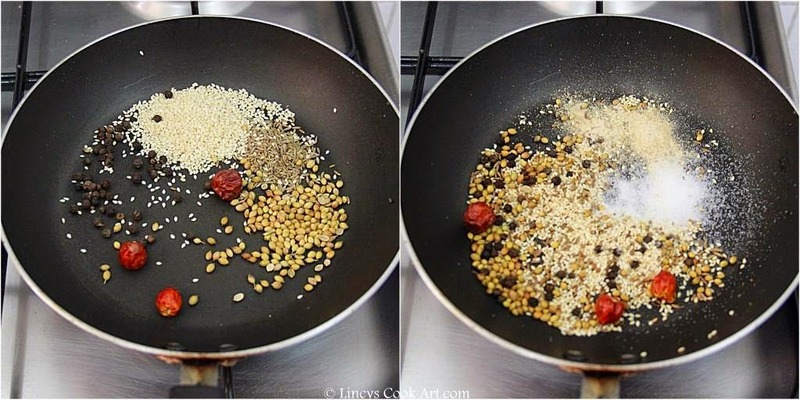 Transfer the roasted dhal with the neem flower. On the same pan add half a teaspoon of oil and add the dry red chillies, coriander seeds, jeera, sesame seeds, peppercorns. Roast them till the aroma arises and the red chillies become crisp. Add the Asafetida and salt; mix well and switch off the gas. Add the roasted ingredients with neem flower and roasted dhal and allow to cool thoroughly. Add the roasted ingredients inside a blender jar and finely powder them. Transfer the powder on a flat plate and allow to cool and transfer it to a air tight container. 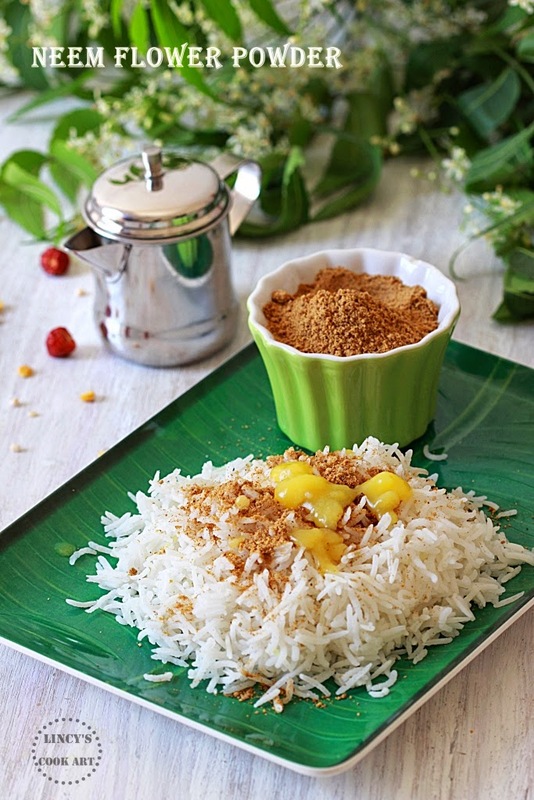 With hot steamed rice add a teaspoon full of veappam poo podi and add a dollop of ghee and mix well and eat. 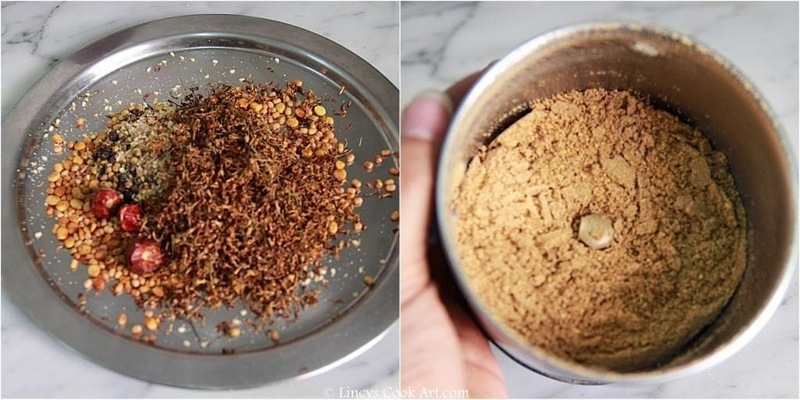 You could use this podi like Idli podi too by adding sesame oil in it. 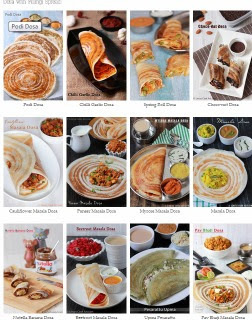 Nice recipe Lincy..Do you get the neem flowers in India or do you get it in Oman? In Oman so many Neem trees they grow for shade. Near to my home 3 trees are there. So i get fresh flowers and i used to dry them on shade and store for the later use.